A mid 50’s insurance agent, living in L.A., and divorced for nearly 12 years, Gloria Bell (Julianne Moore), is in search for connection, love, and romance through a series of extroverted life experiences. Meanwhile, her adult children, Peter and Veronica (Michael Cera and Alanna Ubach), are starting their own lives, in some ways mirroring a familiar past. Learning how to love, let go, and un-merge will take careful attention; and, deciphering the strange new love interest, Arnold (John Turturro), may get dodgy as well. Directed by Sebastián Lelio, and Written by Alice Johnson Boher and Sebastián Lelio, this tour de force for Moore serves as the perfect foil to demonstrate her depth and range as a dramatic artist in what might otherwise be a banal life story; instead, Moore’s color and emotion percolates perfectly, not only in her spoken word but also in the silence of her actions, furthermore, Lelio’s pacing forces the audience to “sit” with Gloria in order to really feel her experience. 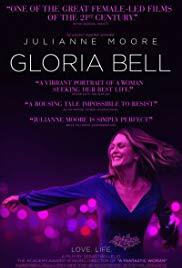 The beauty of Gloria also comes in the aesthetics of light, color, and music throughout the picture, this art-house pic clearly has a feel for authenticity and true to life experience. Looking for that genuine and relatable view into the life of another, you’ve found it. Gloria Bell is rated R.